Along with the Mac App Store came Angry Birds, the wildly popular iPhone game that was then brought to the iPad, Android, Windows, and is now making waves in Mac OS X. 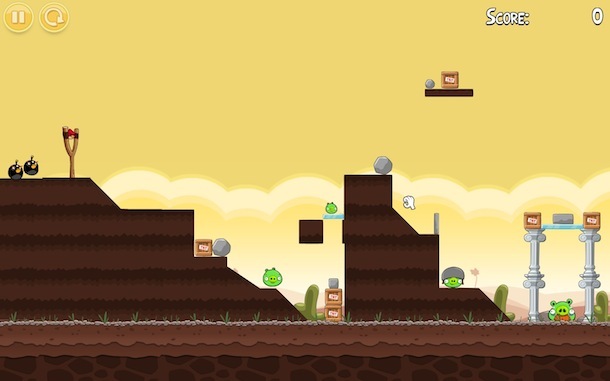 If you haven’t played Angry Birds before, it’s remarkably simple in concept, you just fling various birds at objects to try and destroy some green pigs. In practice, it’s a bit more complex and you have to utilize different birds capabilities to knock down objects which respond to contact and gravity. It’s surprisingly engaging (read: addicting) which explains the runaway success. The gameplay is fun, the controls are great, and the increased screen resolution is a nice bonus. I’m not much of a gamer but Angry Birds for Mac is easily just as addictive as the iOS version, and even more so. 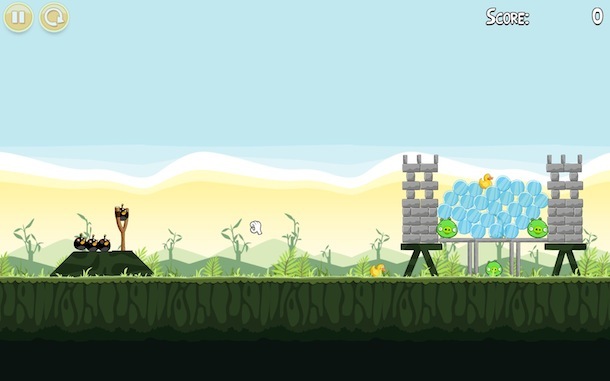 Believe it or not, I find myself playing more Angry Birds on the Mac now than I do on the iPhone. Maybe it’s the screen size, maybe it’s the novelty factor of having it on the Mac now, who knows, but it’s fun and I can’t stop playing it. Do I prefer Angry Birds on the Mac? Yea, I guess I do. It’s not just me though, others in my household who have played Angry Birds on the iPhone are suddenly more interested in playing it on the Mac. No wonder this game is #1 on the Mac App Store. Update 2: Angry Birds for Mac has been updated to include GMA 950 graphics support, this resolves the compatibility problems with older MacBook, Mac Mini, and iMac models. Update: Angry Birds does in fact have windowed mode, you can access it by hitting Command+F from the app. Thanks to those who pointed this out. My complaints are a lack of windowed mode and some compatibility issues. Windowed mode would make it easier to play a quick round or two while doing other things. Since it plays in full screen, you can use the Command+Tab application switcher to switch around to other applications, the game is lightweight enough that it’s not a drag on resources to have it running concurrently with other apps. I hear they’re working on a fix, but in the meantime, if you have a GMA 950 video card you are out of luck. The fact this wasn’t caught until after the game had been released a few days is disappointing, and helps to point out why the Mac App Store would benefit from allowing demos or time limited trials to download and test out. Also, in addition to the hardware requirements, you have to be running Snow Leopard OS 10.6.6. Lame for us who are running 10.5.x and have no way of upgrading. Windowed mode works fine on mine. Cmd + F to toggle. 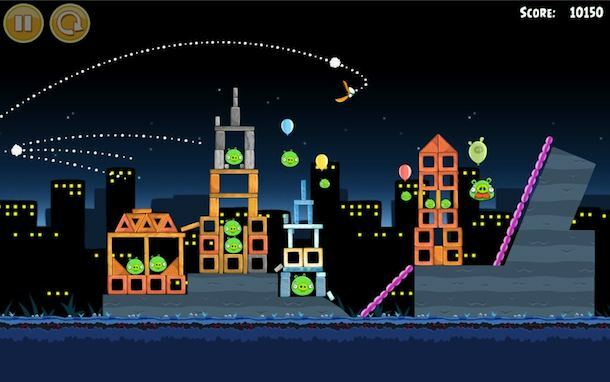 There should be an Angry Birds twelve-step program! I think I’ll start one in my area. LOL are you guys that clueless? ⌘F toggles full screen mode.